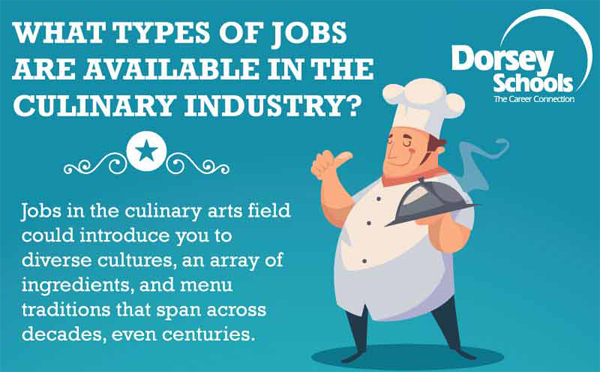 The Culinary Arts diploma program at Dorsey Schools offers career training in the popular profession of Culinary Arts, which continues to grow. Cooking has been elevated in the past few years from an intriguing hobby to a whimsical art form to a serious cooking career, crafted by dedicated and experienced professionals. As part of the Culinary Arts training program, each student in the Dorsey Schools program will receive their own individual culinary equipment that is necessary to complete the culinary arts training courses in these Michigan culinary programs. Designed to prepare students to work in professional food serving facilities in both the public and private sectors, students of the Culinary Arts training program “learn by doing” in the practical side of professional food preparation; education takes place in both kitchen and classroom settings. An externship component allows students to assimilate the knowledge they’ve learned in the Michigan culinary programs and put it into practical application. Students of Dorsey Schools Culinary Arts training program have the opportunity to acquire the experience and training they need to gain the competitive and creative edge in the development of their cooking career. The Culinary Arts training program at Dorsey Schools is accredited by the Accrediting Commission of the American Culinary Federation Education Foundation.